Character: Brewed with an abundance of flaked oats, bitter and imported chocolates, and Sumatra and Kona coffee. Since Founders has been in the news recently with a lot of negativity from craft beer fans, I thought I’d change it up a bit and put out something very positive about on the best beers I have ever had. I am talking about Founders Breakfast Stout. Ever since Founders came to TX, I have tried to get my hands on every beer available, which of course isn’t always easy in some cases. After hearing and reading the hype around their Breakfast Stout, I was happy to score a few bottles from my local bottle shop. Poured into a Branchline Brewing 1 year anniversary stemmed glass (American Pokal). Founders Breakfast Stout is a deep dark black, with a dark brown shining through when held up to the light. This pour was topped with a dark tan colored frothy head, which was right over an inch thick. Great head retention with beautiful lacing left down the glass throughout this session. The aroma is a great mixture of fresh roasted coffee, sweet and bitter chocolate, oats, heavy cream, and a nice hint of what I describe as chili peppers. I usually pick up this aroma in Double or Imperial Stouts when coffee is used. This aroma is very inviting, and really helps make the drinker want more and more of this beer. The taste has all the same characters as the aroma. First of all the flavor of fresh roasted coffee hits first, and is pretty strong and overpowering on the palate. Other flavor profiles that follow are a good mixture of sweet milk chocolate, dark chocolate, oatmeal, and a heavy cream taste. Once again, the chili pepper is back, and thrown in the bunch. This beer finishes with a bold and leaves a fading coffee taste and rich chocolate aftertaste. The body isn’t as thick as I thought it would be, which is about as evil as Founders can get at the moment. This beer is way too easy to drink fast, and in abundance. Good job Founders, good job indeed! Breakfast Stout is a nice medium bodied beer with a great mouth coating smooth and slick mouthfeel. The finish is nice as it’s bitter from the taste of chocolate and spicy from the taste of the coffee. This beer is a very beautiful thing, and a fine example as to why I drink craft beer, and not fizzy yellow colored water like most average Joe Blows. I do understand that Founders did a Craft Beer no-no by selling some of their company to a large foreign brewery, but I also understand why they did it. I may be guilty of this, and I am being hypocritical, but I really don’t understand our hatred for advancements with the things we love that are underground or small business owned. I saw this in the Metal community and now this same mentality has spilled over to the craft beer world. When a local or unsigned, or Hell, even a small independent label band moves on to a bigger world-widely distributed record label, our automatic reaction is to bash them, hate them, and in some cases even hide the truth that they were once a band heavily in your rotation. Now a U.S. craft brewery is gaining more distribution in other countries by this new deal, and I see the “crafties” going nuts now. There is a local San Antonio beer bar that has been rumored to be pulling Founders off their wall cause of this, since they only serve “craft beer” there. Sure by true definition of the word, Founders may not be a craft beer brewery anymore, but they will still never be Bud, Miller, Coors, so they are still extraordinary in my eyes. 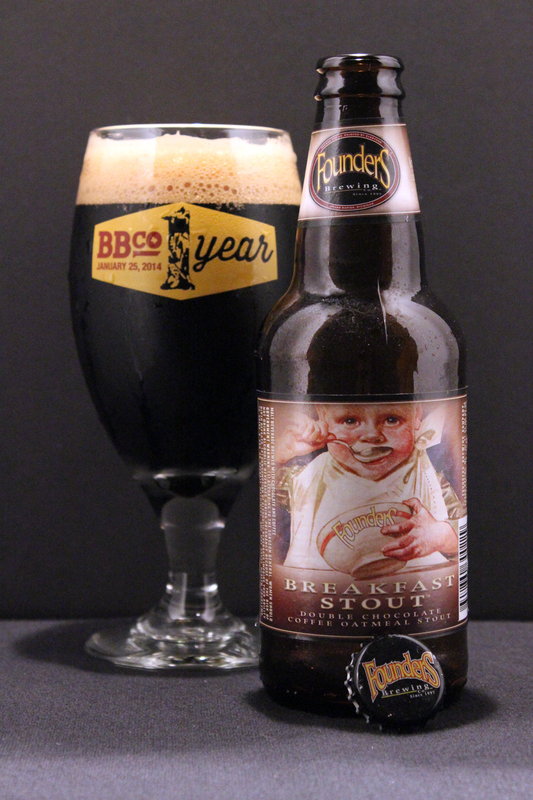 OK, rant over, now go get a bottle of Founders Breakfast Stout and enjoy! Metal Connection: This one was fairly easy for me. As soon as I knew this beer was going up on the site, I immediately thought of the classic song “Breakfast as the Manchaster Morgue” by the legendary Death Metal/Grindcore beasts known as Impetigo. 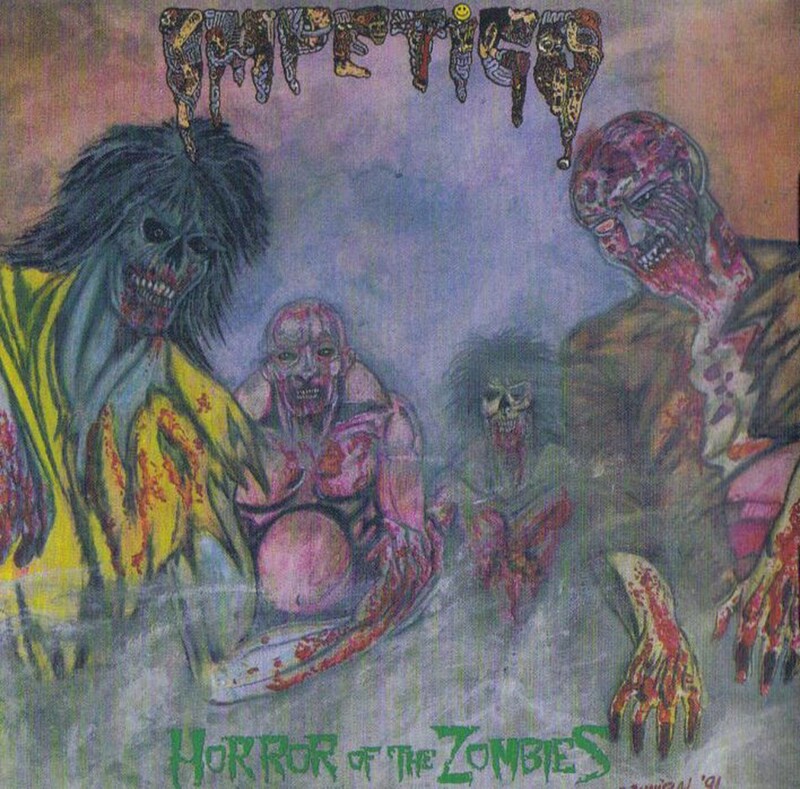 This song was released on the band’s 1992 full length album, Horror of the Zombies, which was the sophomore album. The original pressing of this album was released through the also legendary yet controversial record label, Wild Rags Records. So many great releases were put out by this label, but just as many bad stories and rumors were out about this label as well. There was a reissue and remastered version put out in 2007 on Razorback Records. I wasn’t aware of Founders until I moved up to Illinois 2 years ago. They put out some fantastic beers, the Breakfast Stout being one of their best. I understand why some people are upset that they “sold out”, but agree with you that it’s a good thing that people overseas now get the chance to drink incredible Founders beers. Snaps son! I remember this one from back in 2012…. Love this rich coffee beer 😛 . One of the best out there.